Consciousness in a broad sense, is a spectrum of awareness. At one end of the spectrum, consciousness operates from the single, isolated perspective of one individual ego. At this point, it is solely concerned with what affects that individual. As consciousness develops and expands, it is able to, and does more effectively perceive, intuit and utilize within its considerations, perspectives outside its own. The child realize, “If I bite mommy, mommy will get mad.” With further development, the child realizes if I call Suzy a bad name, it might hurt her feelings.” The child is now utilizing two perspectives instead of just its own. In very simple analogy, its consciousness has doubled. With further development the child may realize that if they call another child a bad name, a third child, who happens to observe this, may not like them for it. In simple analogy, their consciousness has tripled. As consciousness moves up the spectrum, the breadth of the perspectives it operates with expands. it is more and more comfortable with perspectives and beliefs that are significantly different from that of the individual’s ego. As has been said, the simpleton’s concern is only for himself and his family. The citizen’s concern is for all in his community. The patriot’s concern is for his country, and the saint’s concern is for all of humanity. 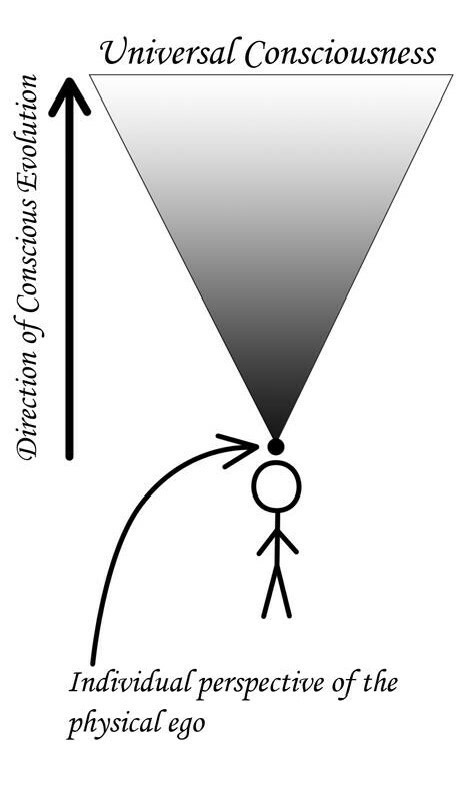 This describes consciousness at various pints as it moves up the spectrum. At the top of the spectrum, consciousness’ concern is for all life. This is often referred to as universal consciousness. Raising consciousness is a process of broadening and deepening awareness. It includes developing a deep sense of self-awareness, a heightened sensitivity to subtle energy, assimilating the subconscious mind into the conscious ind, and effectively managing emotions, attitudes, beliefs, and thought processing. pragmatically speaking, consciousness is a skill that anyone can learn. Moreover, the higher the level of consciousness a society operates at, the less destructive it will be.